Hand Werk (2015, 7min) - Two young laborers search for human contact in a mechanical world. Rebellion (1998, 2min) - Claymation animation about the little fish standing up to the big fish. The Cave (2017, 10 min) - An investigative journalist explores life in an electronics sweatshop. Bullies (2017, 5 min) - Sharply worded commentary on how the Real Estate Board of NY seems to conspire to keep rents high, pocket taxpayer money aimed at building affordable housing and allows unsafe working conditions through use of non-union and temp labor. 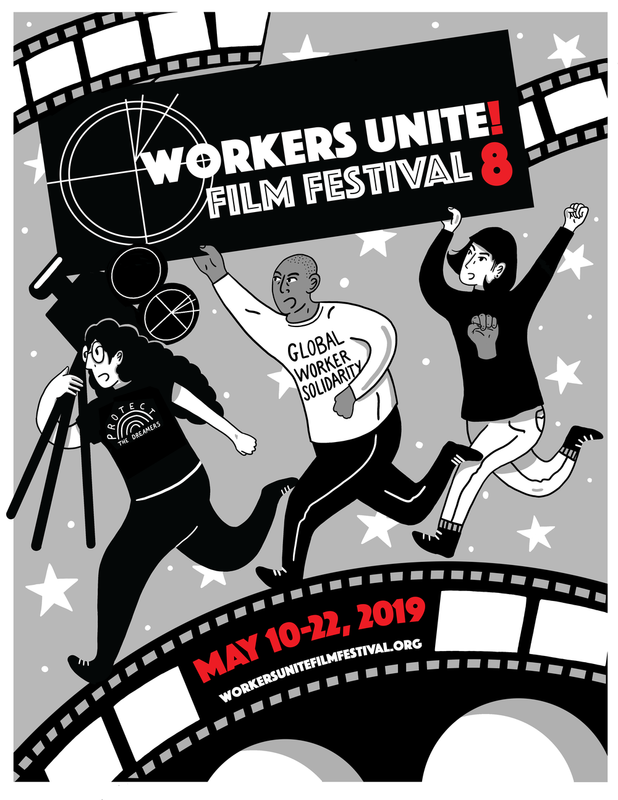 Sure to be a fun night and all funds raised go to help keep the Workers Unite FIlm Festival growing and evolving. More acts on Sunday May 14th.